The sequel to Elsie Chapman's thrilling dystopian novel Dualed is out now, and thanks to the publisher, you've got a chance to win a copy of your own! The first book left off with so many questions left to answer, so I'm pretty excited to see what happens next to West. I definitely wanted to know more about the world that West lives in, and it looks like we're going to see more of it with this one! 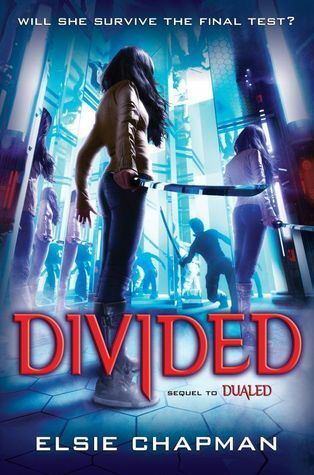 If you live in the US or Canada (or have an address to ship to there), enter the Rafflecopter giveaway below to win a copy of Divided. I'm so excited b/c I just got book 1 and I'm so glad to be getting caught up! Thanks for the fun post and giveaway!